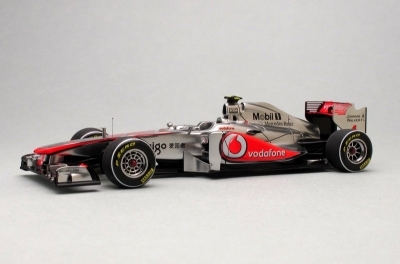 One more teaser photo of MP4-26 which appears in the next issue of F1MODELING. 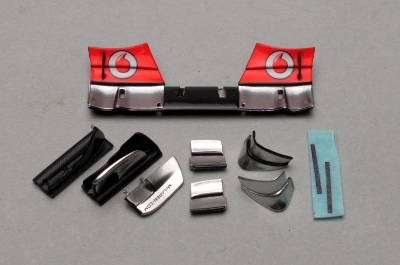 I put a tiny strip of carbon fiber decal on every anterior edges of the wing element. 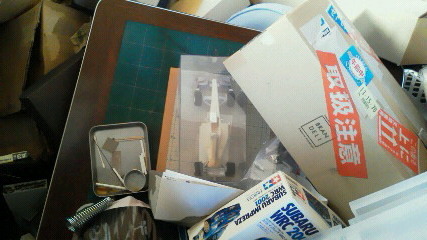 No clear vanish any further as I hate too thick coating especially on the wings of Formula one model in 1/43. 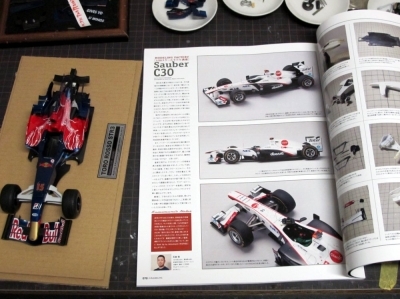 Ready to launch next issue of F1MODELING MAGAZINE with MP4-26 at the end of this month. 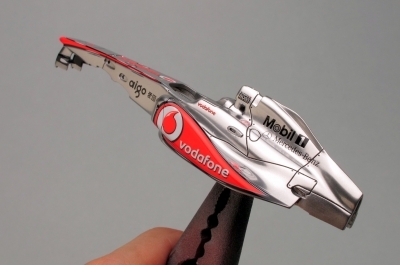 I'll show you how did I get this Mclaren's chrome silver in the article. 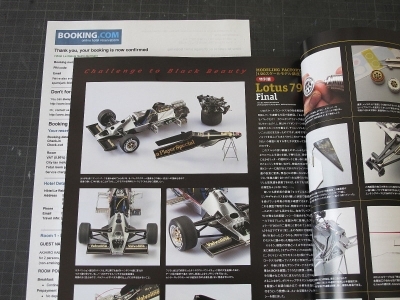 The latest F1MODELING magazine vol.47 will be released in the 1st week July. I guess you'd buy it at Hobby Link Japan or Amazon.jp as usual. 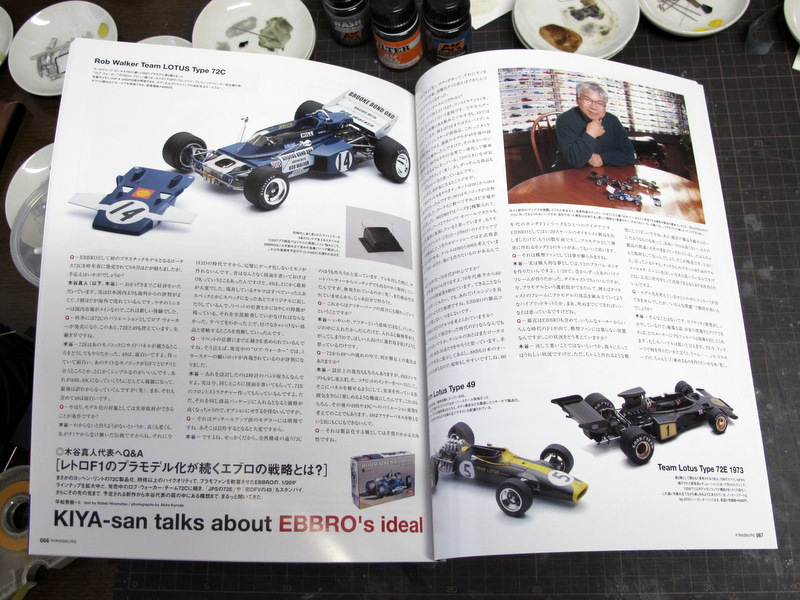 After a month, the Japanese isrands have been getting the shake yet. Several huge aftershocks harry the reconstruction efforts, electricity, town gas, water and sewerage of the disaster areas. We appreciate your help from all over the world, but are sorry for not taking any effective action against the Fukushima nuclear plant and the spreading radiogen. 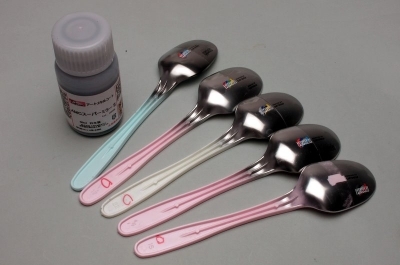 Fortunately the radiation of my town - it's around 130miles from Fukushima- is minimal. I'm not so young and not worried about some healthy troubles which resulted from the radiogen immediately, however, parents who has babys or children live with some indefinable anxieties, I guess. The following photo was taken by a friend who lives in disaster-affected area a month ago. 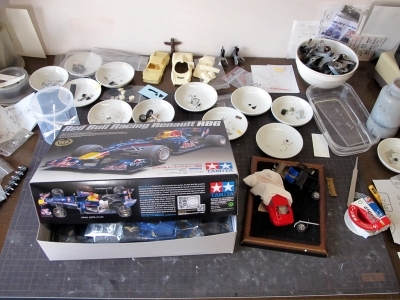 Furnitures and household has been shaken by the quake and most of model kits, reference books and decals were damaged heavily with the tsunami. 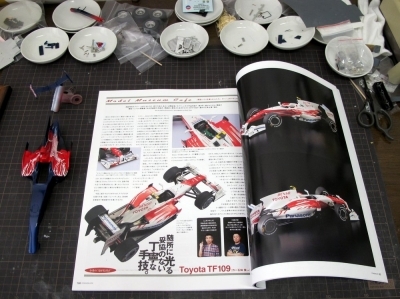 Now he has recovered a little of poise, and prepare to build the surviving TOYOTA TF109 in 1/20. 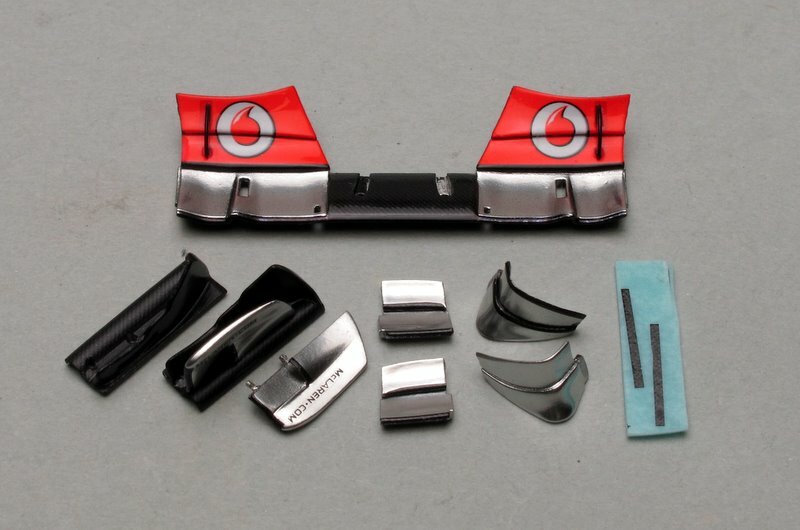 If you have a spare decal set of the TF109 by MONOPOST, please email me.